I was blessed to be on the planning team for the recent Movement for Black Lives Convening – held July 24-26 in Cleveland, OH. Below are some of the many articles related to the Convening. Why are we still talking about Racism? Well – the Confederate flag will no longer fly outside the state house in Columbia, SC. It was taken down in what was repeatedly referred to as a “small dignified ceremony” in front a large crowd of citizens, lawmakers and the families of 9 souls killed in the name of hatred in Charleston, SC. just a few weeks ago. Let’s back up a bit and go through the history of THIS flag at THIS location in THIS state. This Confederate flag was placed in front of the Columbia, SC Statehouse on April 11, 1961 as part of the Centennial celebration of the firing on Fort Sumter, which opened the Civil War. It became a formal figure above the Statehouse on March 16, 1962 when lawmakers approved a measure to make it’s place permanent. A few months before the flag was raised that first time, a groups of black students who would become known as The Friendship Nine were arrested and convicted the following day for refusing to leave an all-white lunch country in Rock Hill, SC. These students refused bail and spent 30 days doing hard labor at a County Prison Farm – meanwhile the lunch-counter & jail-not-bail protest model spread across the South. It was widely know that SC Rep John A May who requested the flag be flown did so in direct response to the actions of the Friendship Nine. Who were the Friendship Nine? @LeslieMac & Ricky from @AUADOTORG are joined by Larry Fellows III to discuss Baltimore PD lies in action, recent arsons at Black churches, SCOTUS upholds Fair Housing Act and creating space for building, healing & accountability within the movement. fergusonresponse.tumblr.com Find Your City. Add Your City. South Carolina Massacre: Why Don’t We Call Killing of 9 Black Churchgoers and Act of Terrorism? My heart is still heavy today thinking about the 9 lives lost in Charleston to White Supremacy. 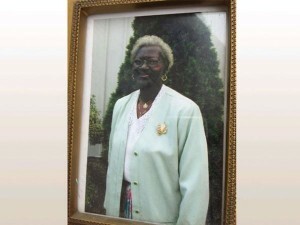 Today on my mind is Susie Jackson. She was the matriarch of her family and was busy planning their annual family reunion at the time of her murder. I am haunted by the knowledge that her final moments were tied to such violence and hatred. That after her long life THIS is how she was taken from us. I sit here thinking about all that she lived through in her 87 years on this earth as a black women. There are many tragedies that I know mark those 87 years but instead here I choose to note the triumphs that she witnessed her fellow Black Women achieve during her lifetime.